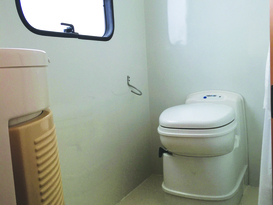 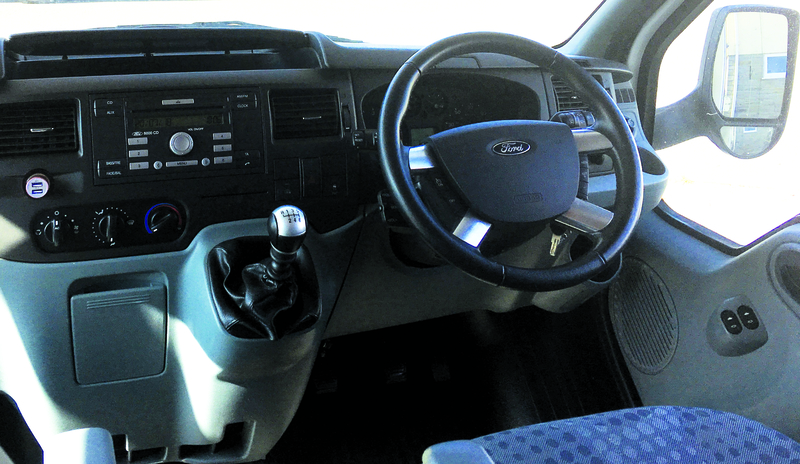 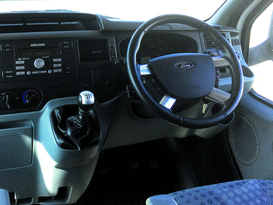 Based on the front wheel drive Ford Transit chassis the motorhome is easy to drive and enjoys a comfortable ride. 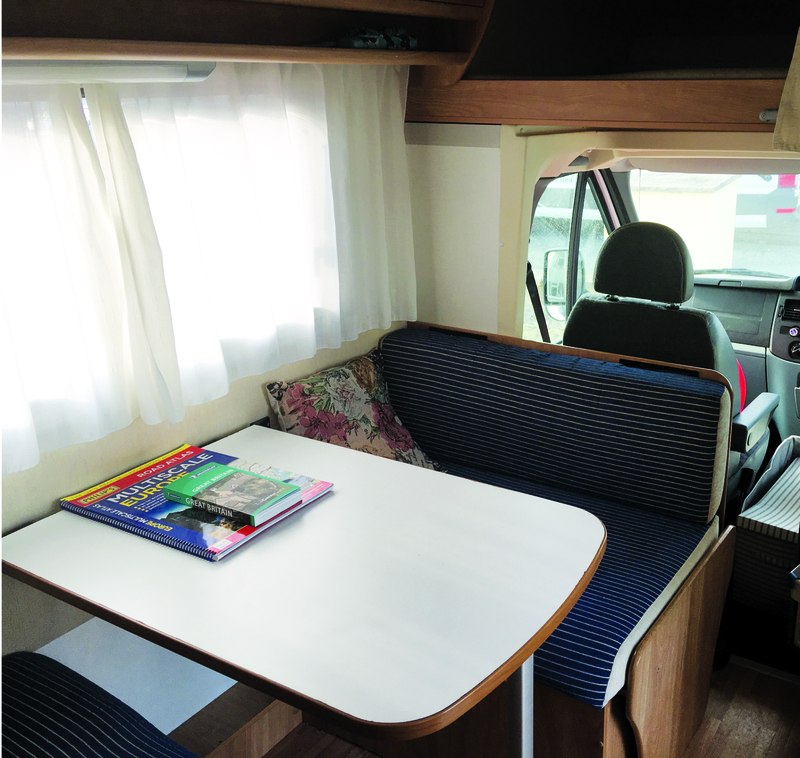 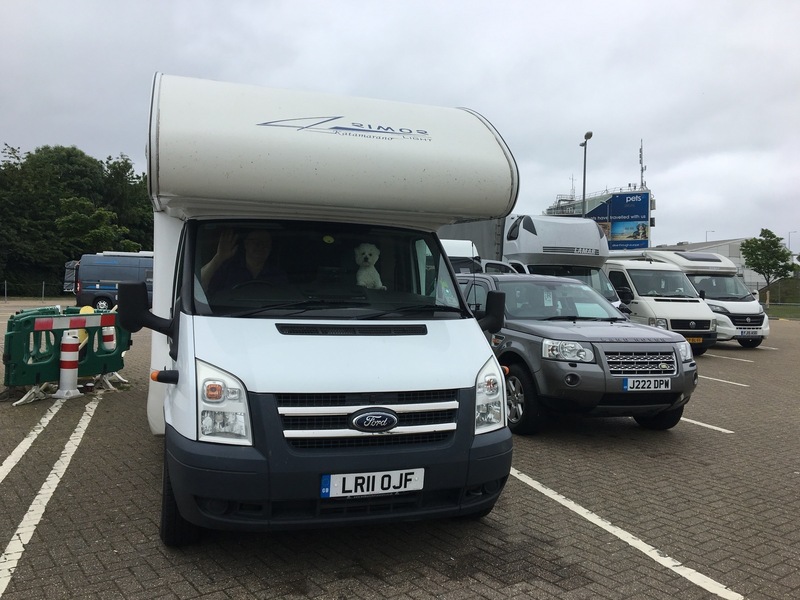 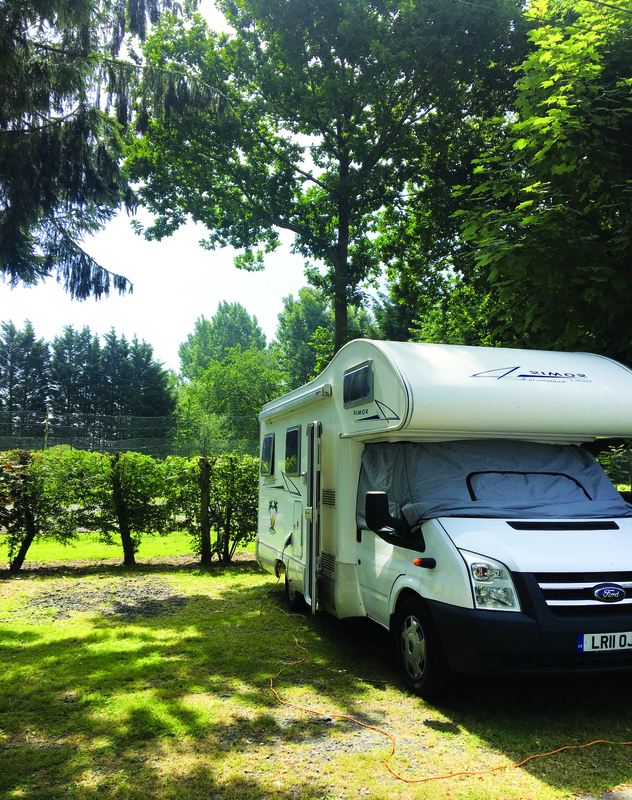 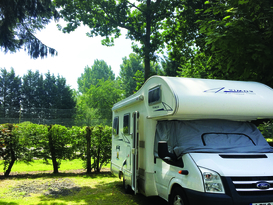 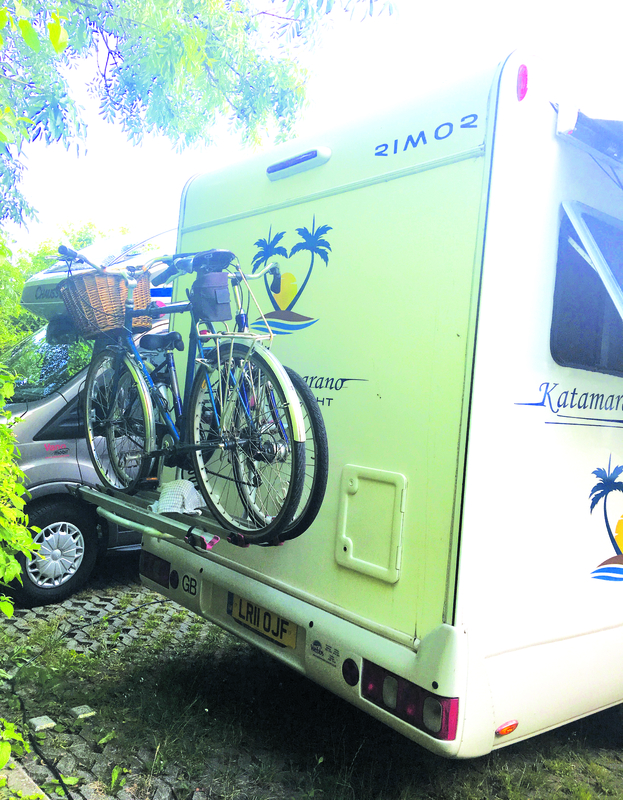 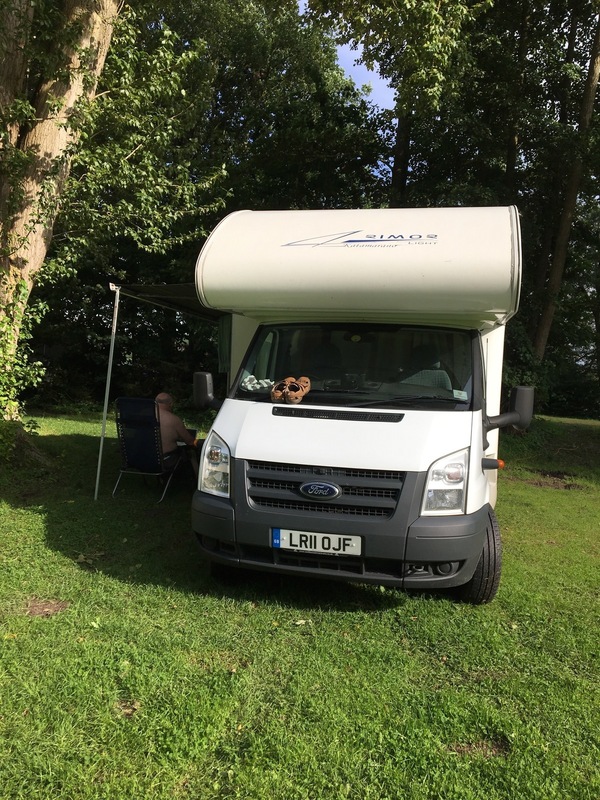 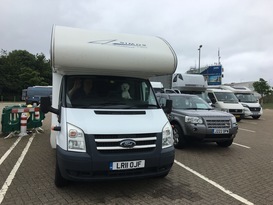 Although the Katamarano is technically a six berth layout we would recommend limiting it to four persons and therefore we have advertised it as a four berth. 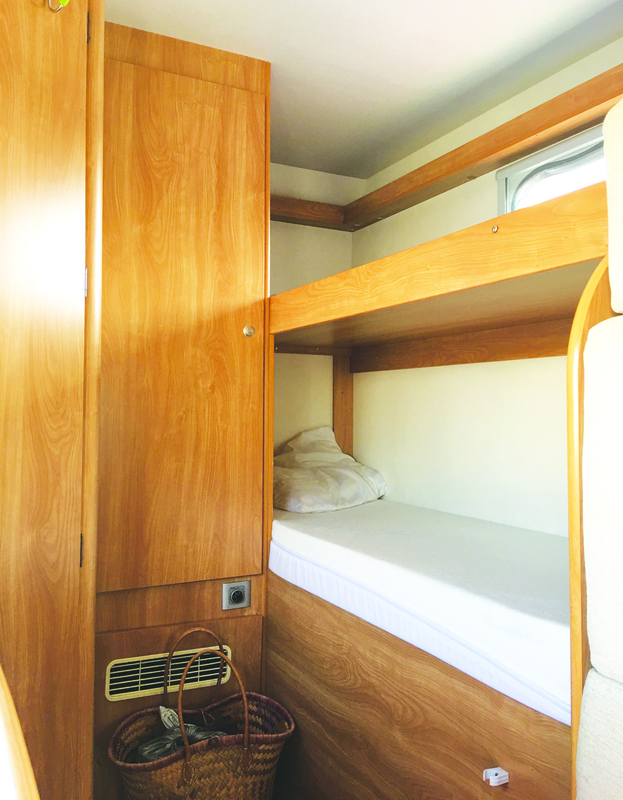 The overhead bed is massive and really comfortable as are the small but long bunks. 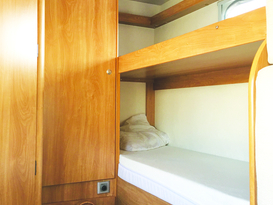 I am over six feet and if I am travelling alone I find the bottom bunk very comfortable. 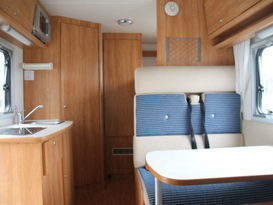 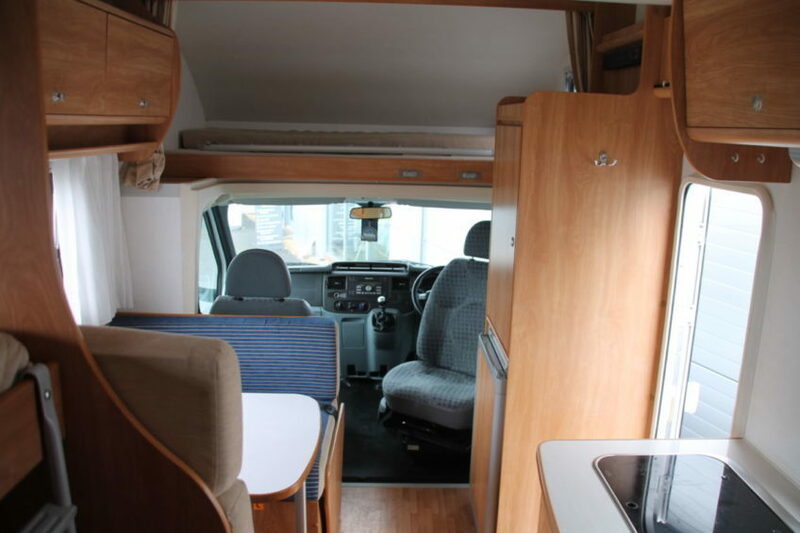 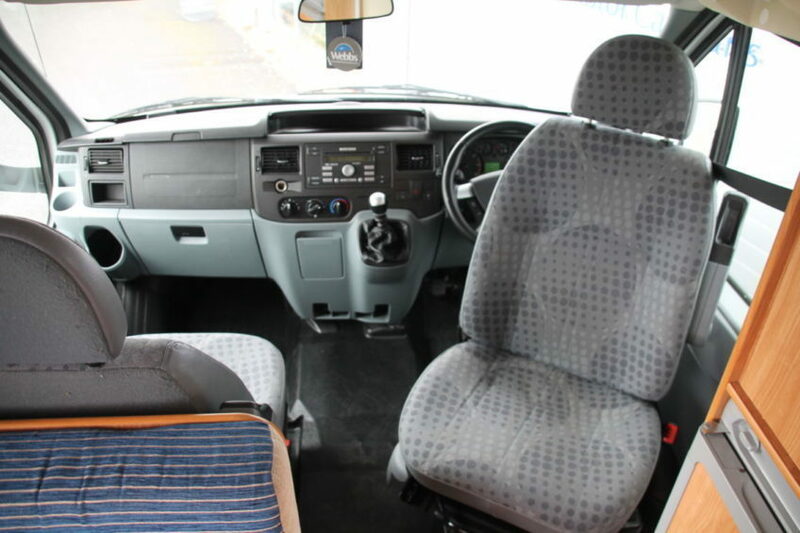 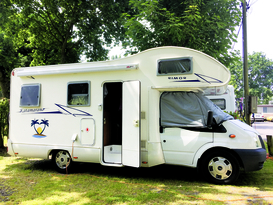 The motorhome has air con in the cab, a 6 speed manual gearbox, sat nav and cruise control. 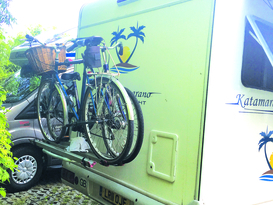 There are reversing sensors and a bike rack for up to three bikes. The Katamarano comes complete with a large wind out awning, outdoor seats for 4, cutlery and crockery, cooking pots pans and utensils, a kettle & a few DVDs. 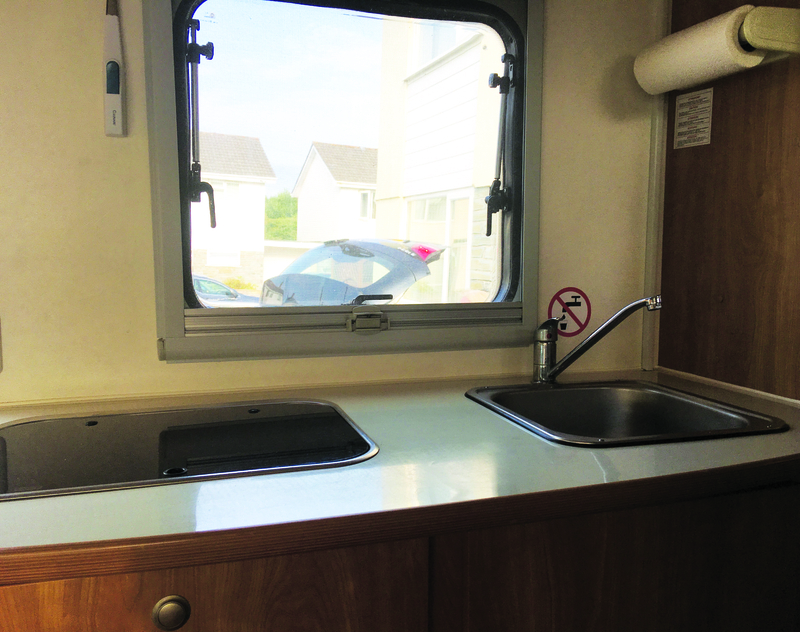 All the windows have mosquito screens and blackout roller blinds and there is a mosquito deterring chenille screen that can be hung over the door aperture. 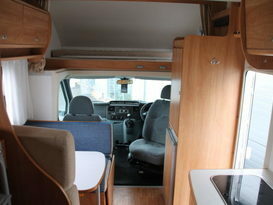 There is also a thick windscreen cover for privacy at night plus insulation from hot and cold. 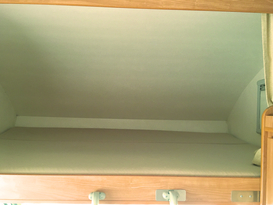 There is a lockable safe hidden at the back of the wardrobe and plenty of space for hanging clothes. 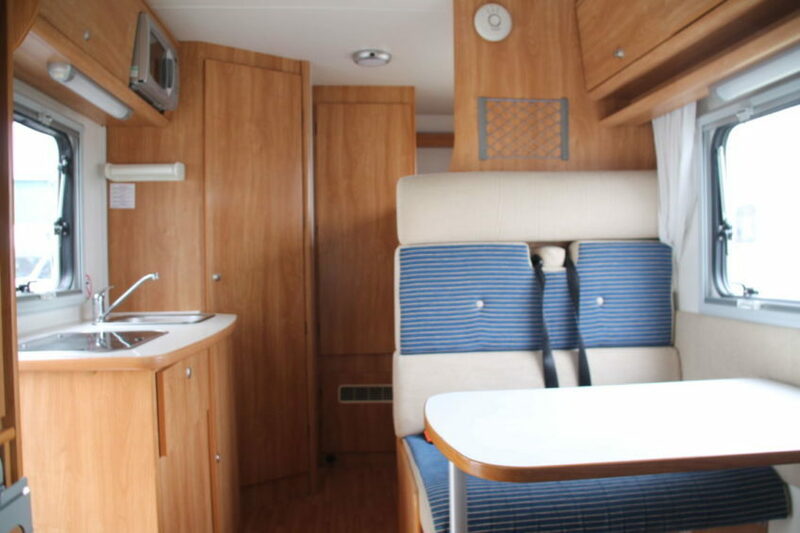 There are numerous storage cupboards and lockers plus spacious storage under the front dining seat and under the bottom bunk. 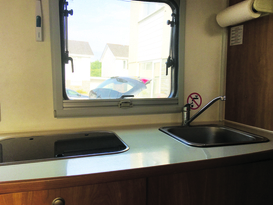 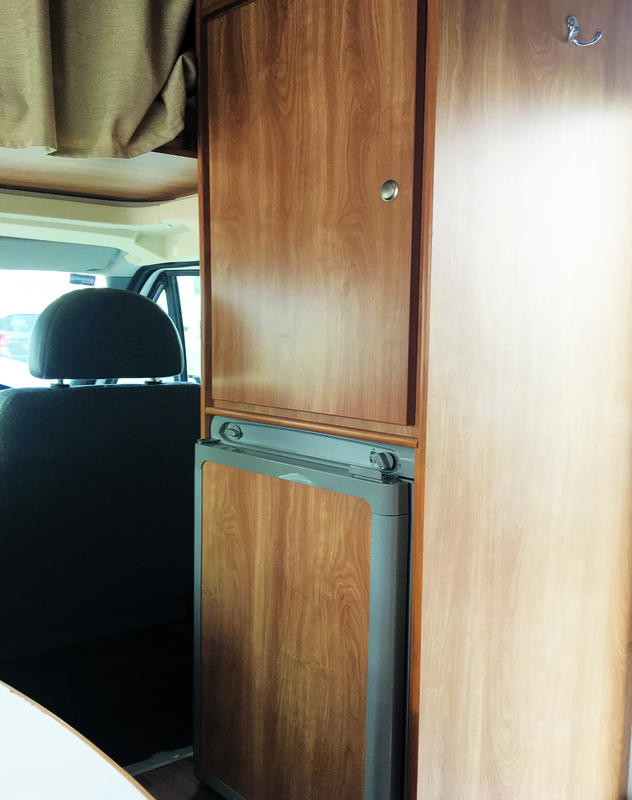 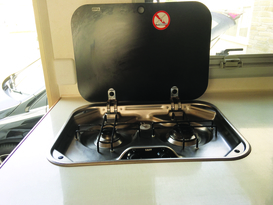 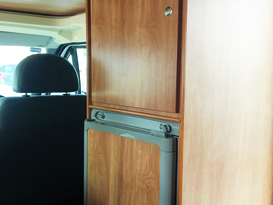 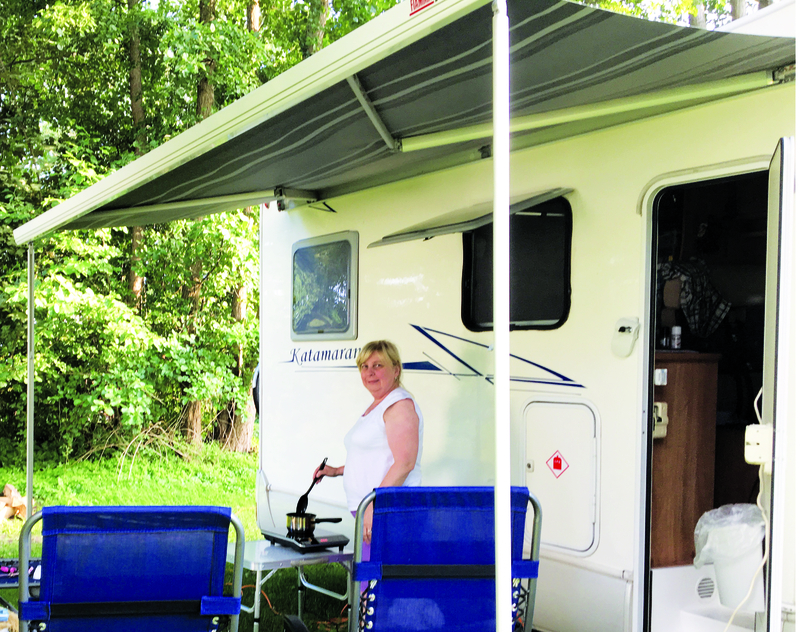 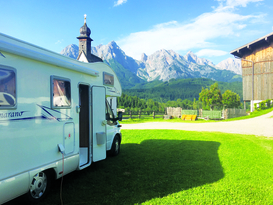 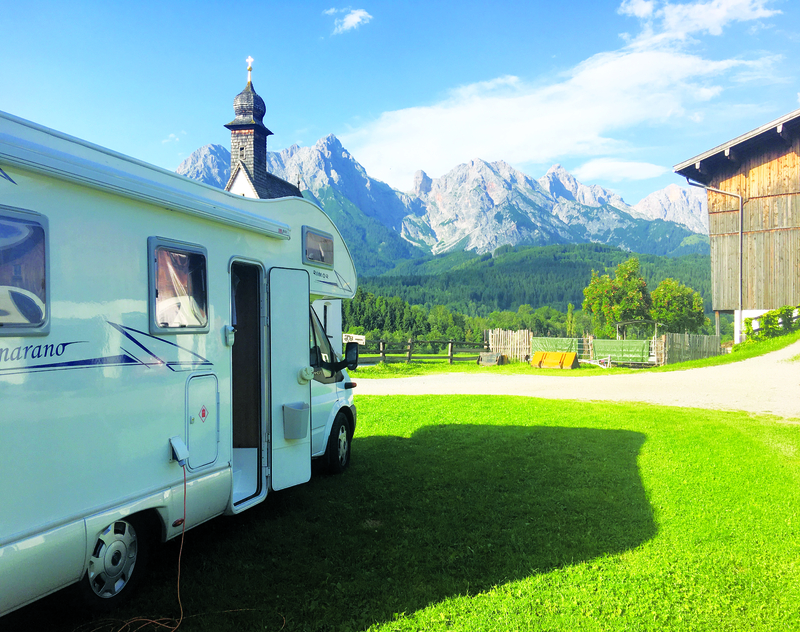 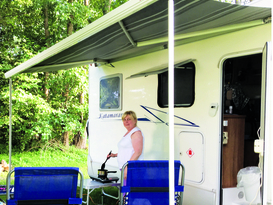 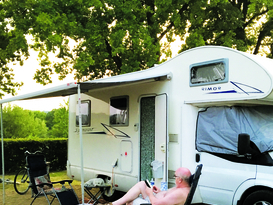 The fridge operates three ways, on gas, from the leisure battery or from mains when the motorhome is hooked up. 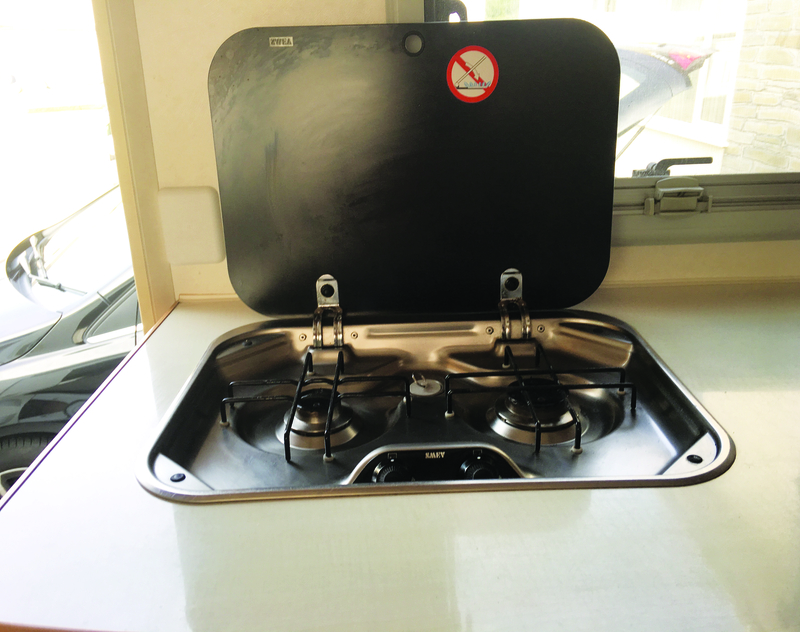 There are two large gas bottles and the spare will always be full at the start of your hire. 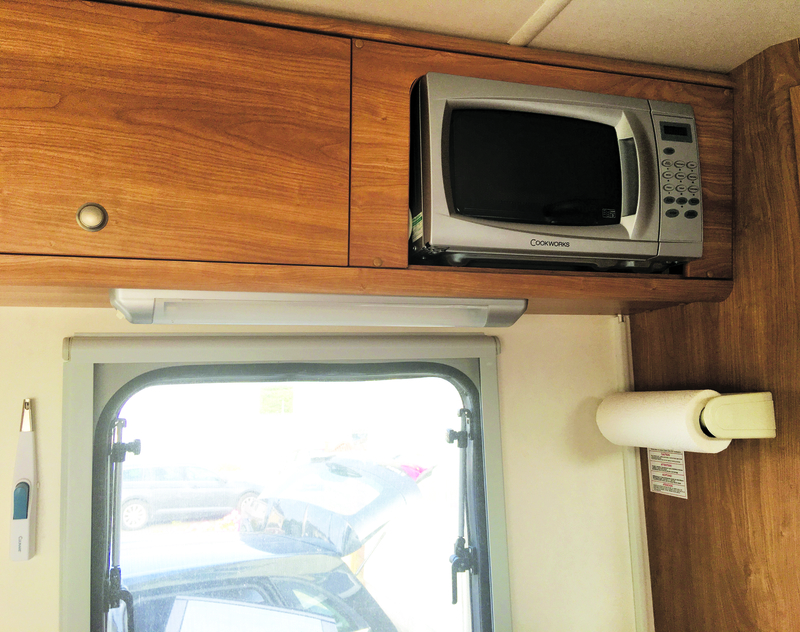 There is a TV/DVD player and a built in aerial that can be raised and rotated to ensure you get the best local picture. 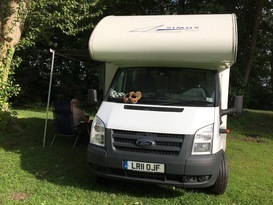 Minimum 7 Day Hire in July and August. 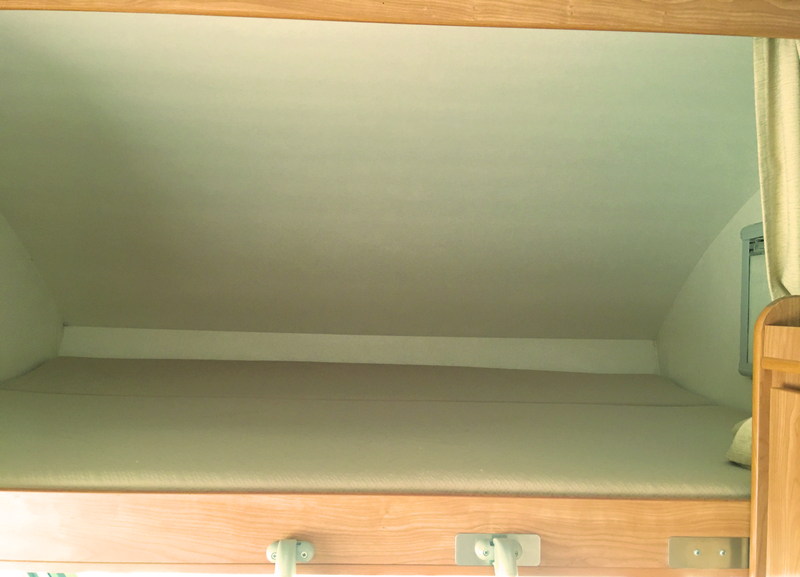 Only one or two small dogs considered with their own beds and bedding. 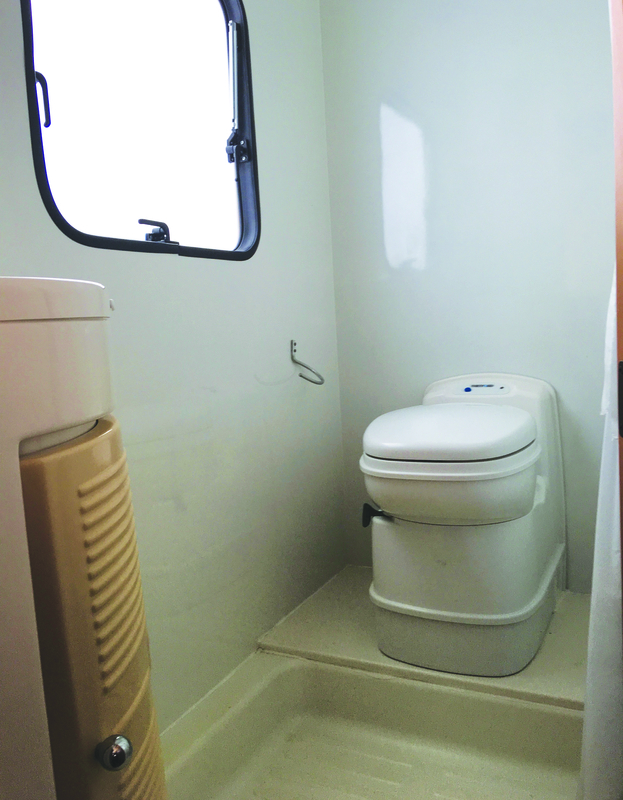 Toilet paper and chemicals supplied. 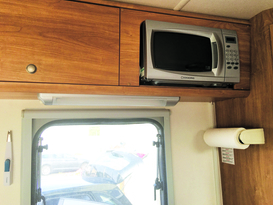 Electric hook up cable supplied. 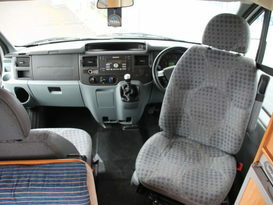 Pickup on Sunday earliest 3pm. 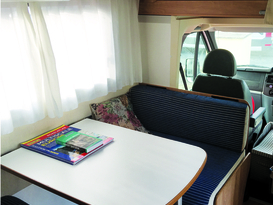 Latest Return Sunday at 11am Late returns may be charged.